Tizen Native API is carefully selected and tightly managed APIs from the Tizen native subsystems. The Tizen Native API Specification available in the Tizen SDK shows full list of the selected native subsystem APIs. The Native API is divided into dozens of API modules; each module represents a logically similar set of submodule APIs, which can be grouped into the same category. Some of the Tizen native APIs require features to prevent your application from being shown in the application list on the Tizen store. 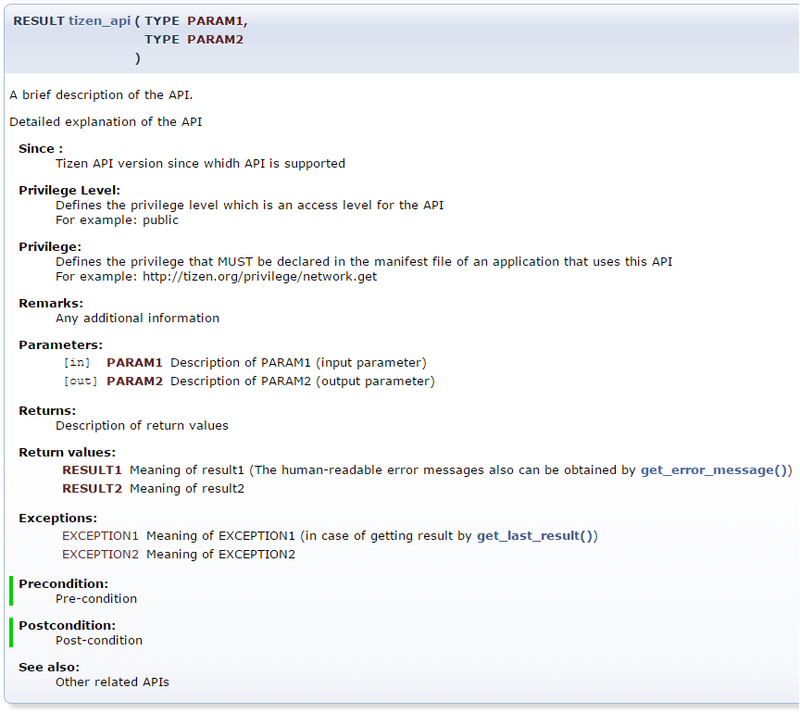 If related Feature is included in API reference as shown below and your application uses that feature, then you need to declare the feature in the tizen-manifest.xml file. For more information, see Application Filtering. In the function documentation for each module, the functions are described using a unified structure, illustrated in the below example. The privilege is essential part to get access grant for privacy related data or sensitive system resources. For more information, see Privileges. Some of Tizen Native API functions require adding appropriate privileges (defined in each API's Privilege section in the specification) to the tizen-manifest.xml file. 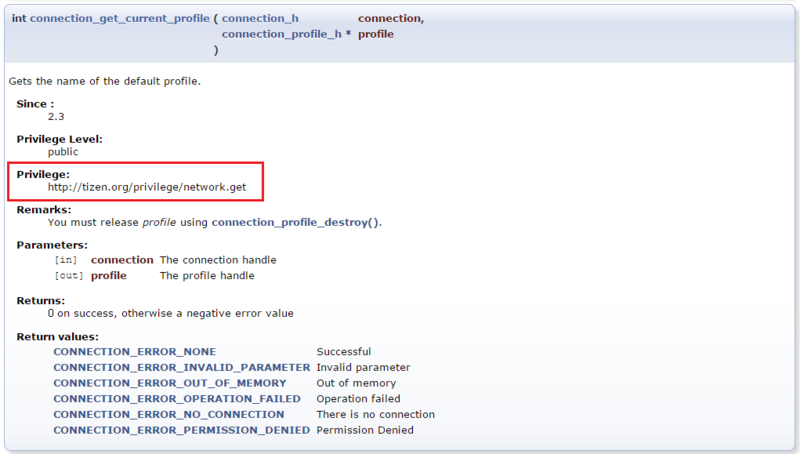 If required privileges are not included in the tizen-manifest.xml file, then the function will return TIZEN_ERROR_PERMISSION_DENIED error.